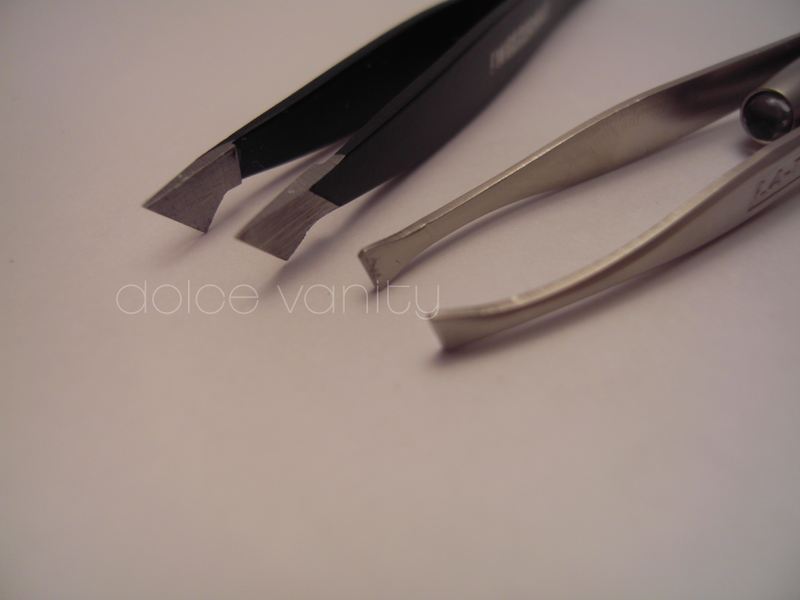 Tweezers, we've had a love / hate relationship there's no denying that. We've been together through the over plucking, dullness, desertion & much more. I'm not a frequent or should I say tweezers are not my primary tool when it comes to eyebrows. I self thread them and then any little hairs I will pluck out - sometimes leading to slight mishaps of taking out hairs I should of left alone. I wonder if there are any ladies who are like me with this one...I sometimes feel if my tweezers are not sharp enough that they will just not do the job for me. It's almost as if they have to be razor sharp so I know it will grip that hair and take it out. 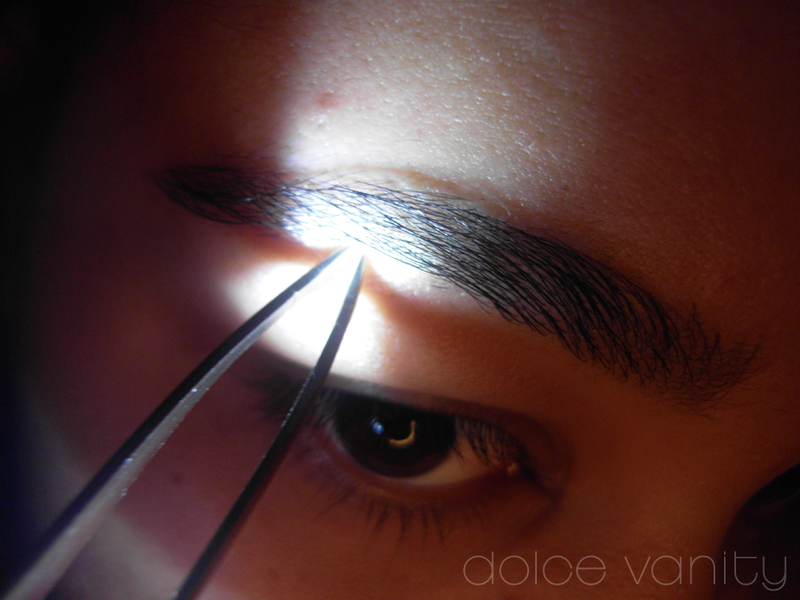 Last month when I got the HD Brows treatment from Michelle at Beauty's Within, Michelle was using some tweezers that I noticed had a small light attached to it. I was offered to take a pair to try out and review curtsey of Michelle. So I did. I was told I could get rid of those stray hairs that come about but not to touch any too close to my eyebrows, well within a week I was ready to start taking out some hairs that needed pulling. 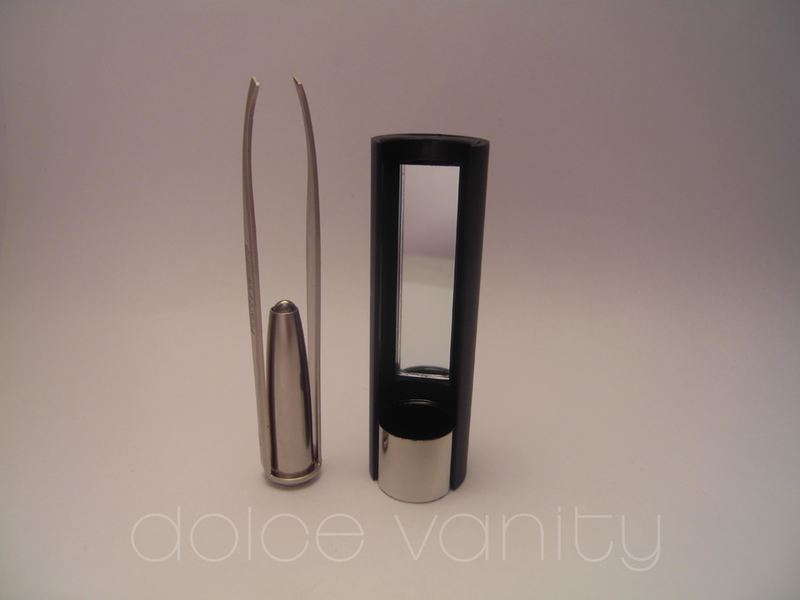 Open it up and you have a mirror in one of the shell casings, which already this makes these handy tweezers to have on the go and easy enough to find in our handbags. The white bright built - in LED light eliminates shadows so you can see directly onto the direct spot you are plucking out. Now I wouldn't advice it but I've been doing the odd tweeking's in bed while in the dark because the light is just so handy to have just to pluck out those couple strays lingering about. 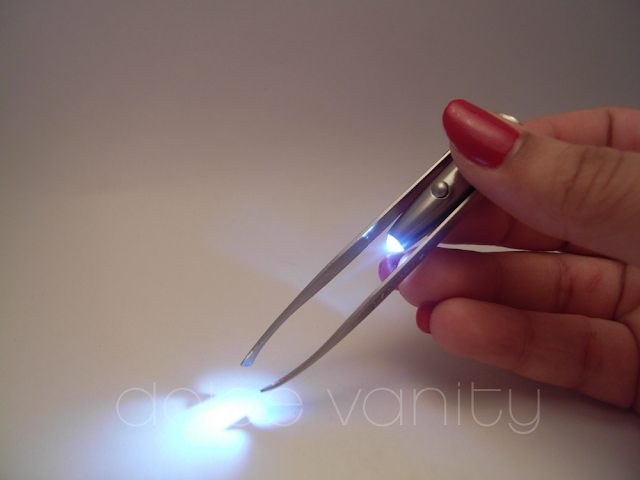 They are very light weighted compared to my other tweezers that I own...not sharp at all but the point on them makes it smooth and easy against the skin as I go to pull out the hair, whereas my others it was a game of trying not to pinch the skin incase of grazing or plucking the skin. Thanks to Michelle from Beauty' Within for allowing me to review these tweezers. Disclosure : This product was given to me. I have reviewed this product to my satisfaction. thanks @Sher, Michelle did such a fantastic job with them. I've barely needed a touch up, just some odd hairs.